A Glonass navigation satellite blasted off Sunday aboard a Soyuz rocket, reaching an orbit nearly 12,000 miles above Earth to join Russia’s fleet of positioning, navigation and timing spacecraft. The new Glonass M satellite, designated No. 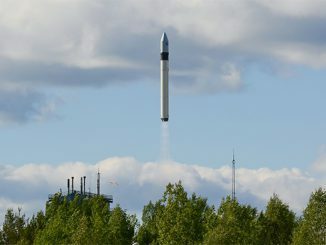 53 in the navigation system, launched at 0844 GMT (4:44 a.m. EDT) Sunday from the Plesetsk Cosmodrome in far northern Russia. A Soyuz-2.1b rocket boosted the 1,415-kilogram (3,119-pound) satellite and a Fregat upper stage to space in less than nine minutes, then the Fregat’s main engine took over for a pair of maneuvers to guide the Glonass M craft into a circular orbit more than 19,100 kilometers (about 11,900 miles) above Earth. The Fregat stage deployed the Glonass M satellite at 1216 GMT (8:16 a.m. EDT), according to ISS Reshetnev, the spacecraft’s manufacturer based in Zheleznogorsk, Russia. 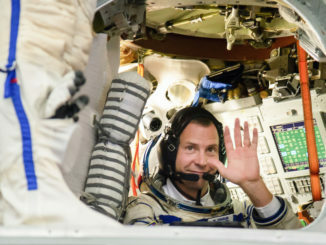 “The ground team took control over the satellite and the telemetry data from it confirmed the satellite’s correct functioning,” ISS Reshetnev said in a statement. The Russian defense ministry renamed the satellite Kosmos 2516 after the launch, keeping with the naming convention for the country’s military payloads. The Glonass M satellite is beginning a seven-year service life broadcasting L-band navigation signals worldwide for the Russian military and civilian users. The Glonass program is Russia’s analog to the U.S. military’s Global Positioning System, providing precise position and time information to users equipped with receivers on the ground. Sunday’s launch delivered the second new Glonass satellite to orbit this year, coming after a February mission that successfully placed another spacecraft in the constellation. With the arrival of the latest Glonass satellite, the system currently consists of 29 spacecraft, according to a Russian government website tracking the navigation fleet’s operations. 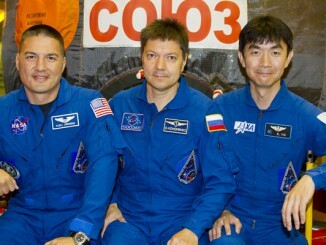 As of Tuesday, 23 of the satellites were operational. The rest are in maintenance, flight tests, or undergoing checks by their contractor. 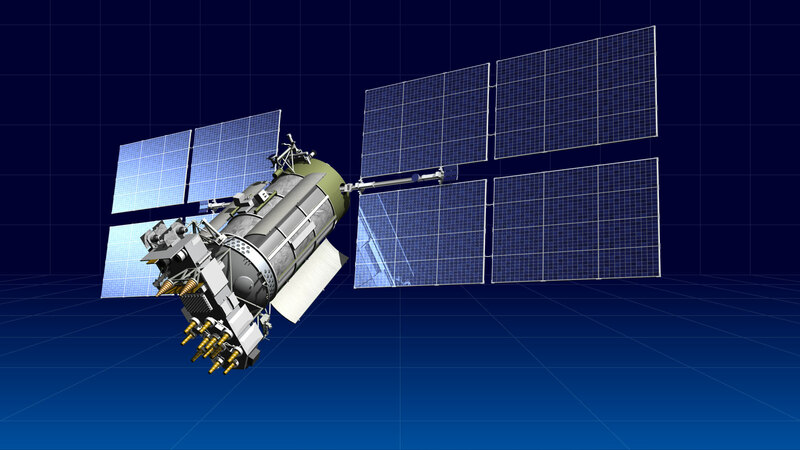 The Glonass system has satellites in three orbital planes, each with eight spacecraft. Russia says it needs 24 operational satellites to maintain worldwide service, a figure to be restored once the latest spacecraft is declared operational in late June or early July. Citing a source in Russia’s space industry, Russia’s Tass news agency reported a problem with the Soyuz rocket’s third stage, which is powered by a four-nozzle RD-0124 engine, forced the Fregat engine to fire longer than planned to compensate for the error. Another launch of Glonass satellites is scheduled later this year, when a Proton rocket will loft three of the spacecraft in one flight.